Siren Whistles - 12 Ct.
Whistle size 1 3/4 in. T.
Mini Clackers - 12 Ct.
Silver Sheriff Badges - 12 Ct.
$100 Bill Notebooks - 12 Ct.
Give these siren whistles a blow at your next party and watch the fun begin. 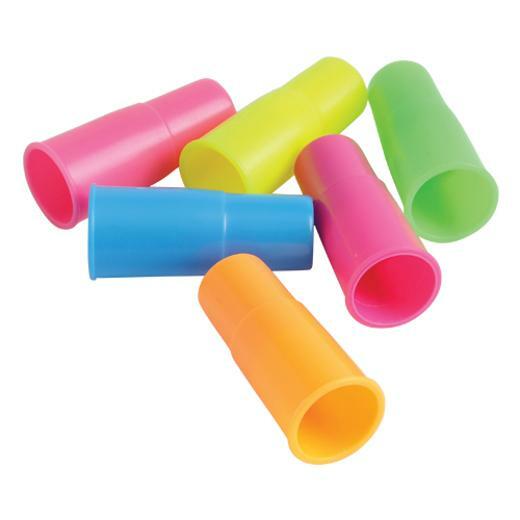 These noisemakers make a big sound, but their tiny stature makes them an ideal party favor giveaway. Great for surprise parties and New Year's Eve. L: 6.0 in. W: 1.15 in. H: 6.95 in.